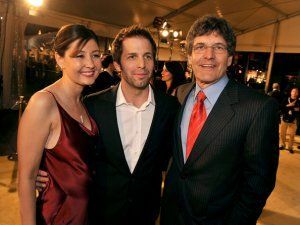 At this year’s ShoWest, I was able to participate in a roundtable interview with director Zack Snyder (300, Watchmen) and his producing partner (and wife) Debbie Snyder for their upcoming animated movie Legend of the Guardians. The movie is being done by the same company that did Happy Feet and it’s based on the Guardians of Ga’Hoole children’s novels. If you haven’t seen the awesome trailer, watch it here. During the interview they talked about why they wanted to make the movie, how they’ve been working on it since before Watchmen, how many “Zack Snyder shots” can we expect, how they did the 3D, and, of course, we also talked about his next live-action movie Sucker Punch and what can fans expect at Comic-Con. Hint: our first look at Sucker Punch! If you’re a fan of Zack Snyder, you’ll love the interview. As always, I’ve provided both the transcript and the audio of the interview. Finally, this interview is a result of Collider’s partnership with Omelete, so a big thank you to them. And like we always do…you can either read the transcript below or listen to the audio by clicking here. One last thing, towards the end of the interview Zack goes into some heavy details about 3D. If you’re interested in how 3D really works, it’s a fascinating part of the interview. He also says that his experiences on Legends of the Guardians should help him convert Sucker Punch to 3D in post. Question: So how was this whole experience for you because being shot in Australia and everything you had to go back and forth all the time? Zack Snyder: You know we do go back and forth a lot but I do have an awesome setup that’s sort of like a high-tech freak show at my office where I have this HD video monitor and I have a color correct monitor over here and there’s a monitor on the wall that shows what’s on the computer and then I have my tablet where I can draw on the frames. And that’s all linked cinesync to Australia. So I do 2 hours a day with Australians and it works out pretty good actually. Debbie Snyder: And we can move it. Like we moved it up to Vancouver when we were shooting and we did it on the weekends when we were shooting and then we moved it back down to Burbank because now we’re editing, so it’s been really convenient. Is there any particular reason why the owls are Australian? Zack: Well, yeah a couple of reasons. First of all, Animalogic who came to me with the project originally, they’re based in Australia. We started to use a bunch of…originally we started to use a bunch of the Australian landscape just in our concept art. Zack: Tasmania and then like the Blue Mountains and stuff like that. I mean we really started to get into it and then we were like, you know what? This feels like the right thing to do, this sort of you know really embrace this as it’s sort of conceptual origin. So pretty much everyone in the movie has an Australian accent and maybe a couple people don’t, but it’s worked out great. And there’s no shortage of awesome Australian actors. Besides the reason that your kids asked you to make a film that they can see, what made you want to make this film? Zack: I guess you know for me, once I got involved and once we sort of started making these paintings and looking at the original art, you know for me it’s like I’m really into…I do love Joseph Campbell archetype stories and I felt like Soren…you have this young owl who like evil comes to his forest…to his hollow and then he and his band of friends have to go and find out whether these guardians are real and get them to fight this evil. It’s the kind of thing, I know it sounds in some ways like oh, it’s really straight forward, but those are the great, to me that’s the kind of thing I’m like oh that’s cool. I can make that awesome because I think that it’s such classic story. It’s such a mythic story in that way. So that’s what really attracted me to it to be honest and there’s a lot of cool stuff in it. Katherine wrote the book, you know. The book has a lot of…she uses a lot of World War II metaphors and there’s a lot of things about like the pure ones and the guardians and just how she relates them. And then the characters themselves as well. So there’s a lot of stuff that I could really…I kind of dug. And there’s a lot of really cool battles in it, too. In the trailer there’s some very iconic Zack Snyder shots. Slow motion, certain things going on. Is that prevalent for the whole film or is that certain shots? 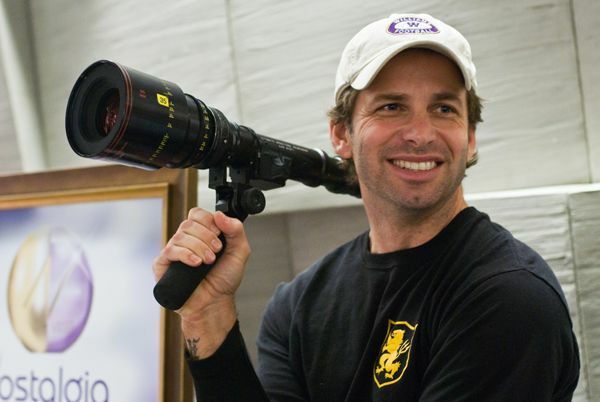 Zack: It’s hard for me not to like…especially in animation because you can make every single frame so carefully. You know we really have endeavored to make this movie as beautiful from frame to frame as it can possibly be. It’s not a cartoon, you know, in that sense. I didn’t want to make a cartoon. I wanted to make like these paintings look awesome. And so how much like signature Zack Snyder slo-mo and fighting and craziness? There’s a bunch of that in there, but I wouldn’t say it’s like wall-to-wall just because it’s not wall-to-wall. You know what I’m talking about though? Debbie: But there’s also a lot of warmth. I mean the characters, there’s also I think some humor in it. It’s a pretty heartwarming story when you go on this journey with this young owl and I think that’s, you know, as beautiful as the visuals are, there still has to be a great story along the way to keep you engaged. Zack: Yeah. You have to like care about Soren and care about his group and his guys. And the other thing is, I did look and it’s also a really interesting experience to do a movie where when you’re doing the action there’s no limitations at all. Zero limitations. So if you can think of it, you can do it. Even more than a live-action movie. Because even the movement of the actors…because if you put an actor on a wire and they’re having to fight, they’re still on a wire and they’re still a person and they can only turn their body so fast and they can only do so much. And you can only have…you know like maybe you’re afraid oh, I can’t do a close up of that guy because it’s going to have to be the stunt double because there’s no way the guy can do it. That’s the kind of thing that when you’re making an animated film, you can really go nuts and do whatever you can think of. This was your first animated movie, right? But did your kids convince you now to do more in that field? Zack: I don’t know. They haven’t seen the movie yet. Debbie: They haven’t seen it yet, so. How was this for you as an experience? Zack: I’m interested in animation. I actually feel like I’ve learned so much about the process how to make an animated movie. When I first came to it I was like oh you guys have to help me out because I don’t know what…I’d just tell you what I would do. Here, the camera would be here and I’d do this. And it’s funny because their language kind of…my language of the way I make a movie and their language of the way they make a movie is kind of like squished together. So they now talk in my terms in some ways and I talk in theirs. So it’s kind of been a fun sort of coming together of the two worlds. But I do have a much better grasp of the whole process. I mean by now I really could scratch up an animated movie if I had to. Do you want to make more of this? What are you surprised more about animation and the process…what are you surprised that you didn’t expect? Zack: I guess the thing that’s most interesting to me is the role of the actual performance of the animation performances. You know the animated performances are such a huge part of the movie that you forget when you watch a live-action film because the people are just being themselves. They’re constantly acting. Where with an animated film like every second of the film, every moment has to be acted. Has to be created. And so the performances like are really stunning and Eric has done an amazing job-my animation director. Just making these owls like alive and real and funny. Zack: Yeah, I know. I didn’t either. Debbie: How labor intensive. But like Zack was saying every little thing has to be created. Every background, every like thing that the characters do that you take for granted. Zack: You get nothing for free. Debbie: If you have an actor, if you have a whole department like dressing a set, you’re more involved than all those choices and it’s really pretty labor intensive, I think. I know that we realized that at all. Zack: It’s interesting now that basically a CG set is the same cost as a real set. So like if you’re going to build a CG house in the suburbs, it costs you $200,000. And if you were going to build it in a computer, it’ll cost you $200,000. It’s the same…the relationship is exactly the same. You’re also directing “Sucker Punch”? And it’s been defined as Alice in Wonderland with machine guns. Zack: I mean it’s an interesting way of describing the movie. I think that it’s, of course it’s more than that, but I mean it’s a difficult film to sort of synopsize, I guess. Is that a word? Maybe it is. So, and as we watched the film and as it evolves, you know it’s really about relationships. The relationship between these girls and how far do you go for friendship? Or what are you willing to do to save someone you love, you know? In the end, that’s what it’s about. But they do have machine guns and they do go into other worlds, so there’s no giant mushrooms although that would have been cool. And maybe I should make a note, but yeah, I think in a general sense, is Alice in Wonderland an exotic world? Yes. So I think we share that. I wanted to know if you could talk about the 3D process and with this film and with “Sucker Punch”…how early were you doing 3D on this one? Zack: We did 3D from the very beginning on this. The very first images were all…we put into 3D. Debbie: Were made on 3D, not converted. 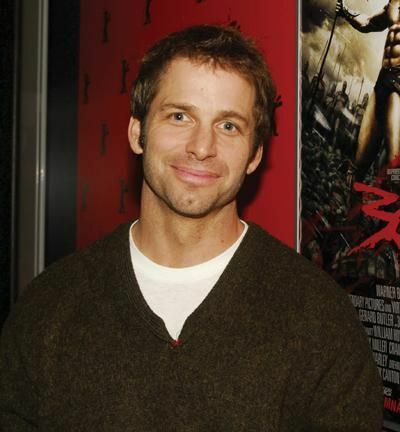 Zack: We made this movie with the intent of 3D though I’m doing them exactly at the same time, so it’s different. Like for instance, the difference is when we were working on “Guardians” I said okay, I want because it’s an owl world the movie takes place at night, right? 90%. And so if we were shooting the movie in an owl world with owl cameras, the film would have a very shallow depth of field because we’d be shooting at night. We wouldn’t have a lot of light. So everything would be like a 1-3 or like a 1-9 like super skinny focus. And so that was a thing that I was like okay, that’s the mandate. Do that, always. And we built a big camera bible. It has all these like rules like things you could do and couldn’t do. Like I didn’t want…all the flying shots had to look like they were basically being photographed from some kind of a rig. Like another flying…like an owl with a camera on his back or I don’t know how…I was very militant about that stuff. When you go to 3D, the shallow focus is a bit of a thing, right? So there’s a little bit of a trade-off because most 3D movies everything’s in focus. That’s how you get the depth, right because the foreground is jumping out from the background. But if you, for example, at that shot where the feather comes at you at the very end of the trailer, the feather comes at you and the focus goes to it and the background goes out of focus but the feather really feels like it’s out. Those are the kinds of things that we…that’s not intuitive to 3D to do big out of focus playing with the feather or with an object popping out of the out of focus. So there was a lot of R&D that we worked on to try and get that to work throughout the entire film. And in some cases in the 3D version, the focus actually had to be extended as opposed to the 2D version of the movie we kept it skinny but because it’s all done on the computer the focus is applied. So everything is in focus, we apply the focus later. And so in 3D it’s actually easier to stretch that because the elements are all there and they’re all in focus. So there was a bit of a process that went on to find the right…without me saying like…because I won’t give it up entirely. I’m like no, I don’t want the whole thing in focus. But I do appreciate that for the 3D to work better, more focus is required. But those are the kind of conversations we had and have been having in the process to sort of understand the best way to render the 3D. Now, that said, and I think that when you actually watch the trailer you can see how clean the 3D is, it’s like super clean. Now the interesting thing is, we’re going to be converting “Sucker Punch” to 3D, so it’s like a different process. Although I feel like actually having done “Guardians”, I have a really good sensibility at this point to be able to manage that conversion process without it just being a gimmick that we slap on top of the movie. Debbie: And because of the way shooting a lot of the things against green-screen and when we have separate elements to play with, it gives us…it’s kind of different than if it’s just a norm…like kind of I say normal but like a film that’s just not shot that way. Because we can play with these elements more. We have them already isolated. It gives us more latitude. Are you guys doing the Comic-Con thing? So you can tell fans now that they can look forward to both films at Comic-Con? Zack: No, yes for sure. I’ll say that. Debbie: We’ll show our first footage of “Sucker Punch” at Comic-Con because we weren’t quite ready and this is this year’s slate and since we’re March.